There are plenty of odd places in Minnesota, and chances are, if I haven’t seen it yet, I plan to and will be writing about it soon. This week we broke down the Top 10 quirkiest buildings in the state. There was no criteria other than it being unusual, so enjoy our latest update! 10. 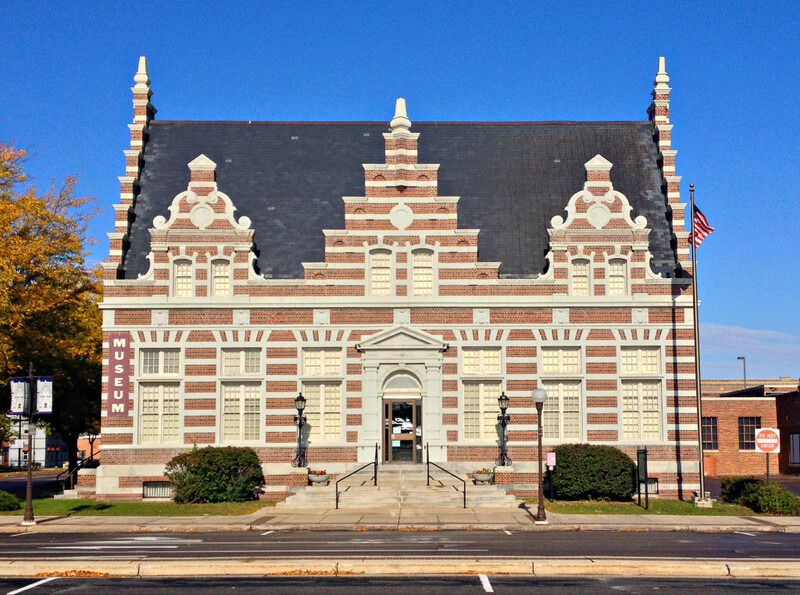 Brown County Historical Society, New Ulm – Originally a Post Office, this quirky, Renaissance-style building now houses the Brown County Historical Museum. The brick and concrete-banded building is just one of the countless architectural treasures in New Ulm. It was built in 1909 to reflect the German immigrants that originally founded New Ulm. 9. Stabbur House, Two Harbors – Commonly found in Norway and other areas of Scandinavia, the “Stabbur House” buildings were typically used for storage and extra sleeping quarters. 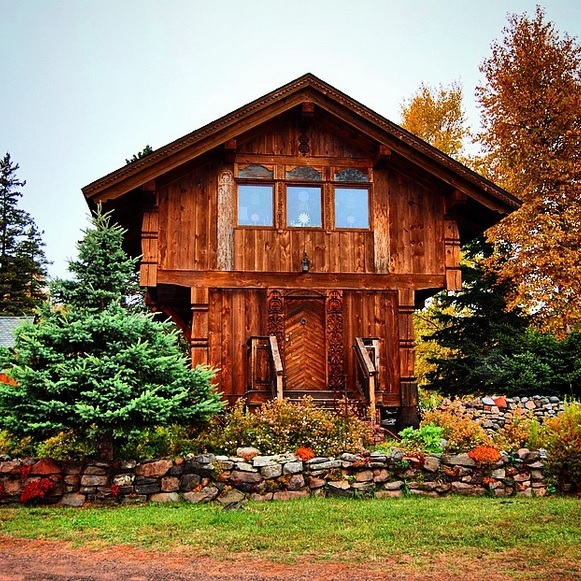 There are a couple of other Stabbur houses in Minnesota as well, but this one overlooking Lake Superior is the biggest and most detailed. 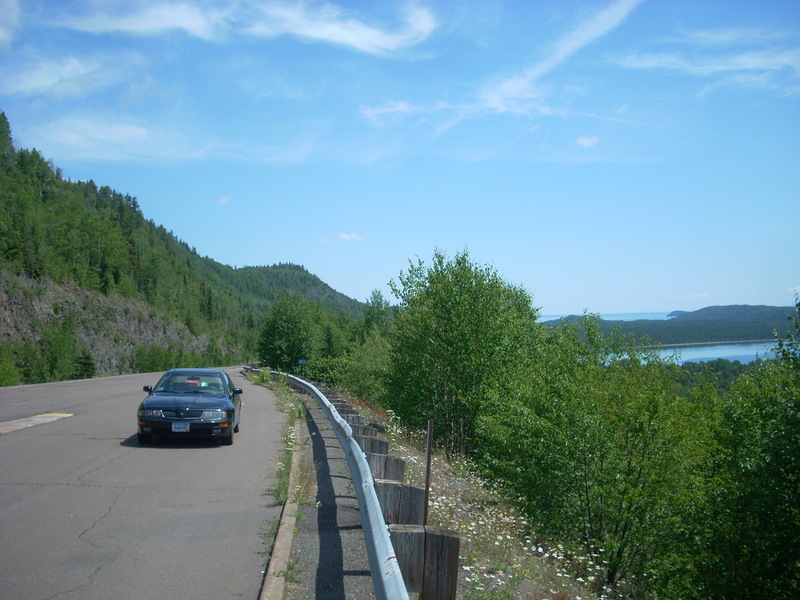 Located near Two Harbors, it is is home to B E Nelson Gifts, a silversmith that sells many Nordic and Viking-inspired gifts and Minnesota agates and other stones. 8. 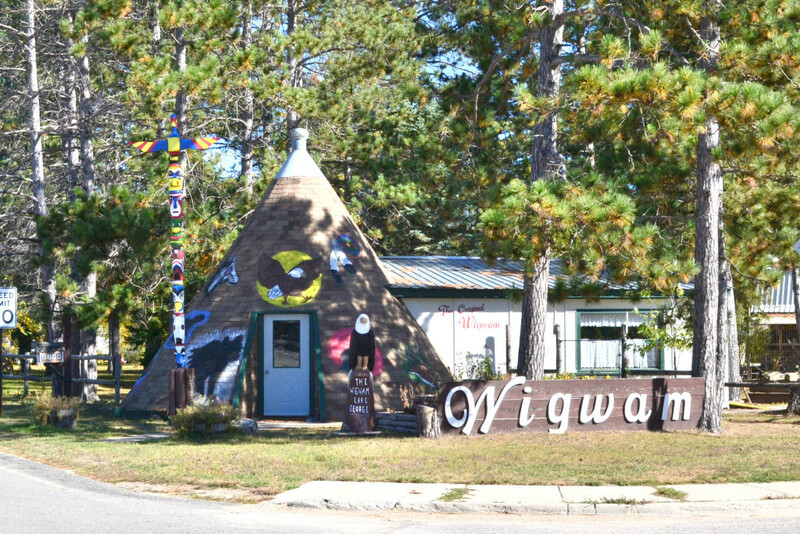 Wigwam, Lake George – Although it more closely resembles a teepee, the Wigwam in Lake George (between Park Rapids and Bemidji) is also a little gift shop in a funky building like the Stabbur house listed above. The Wigwam sells Native American gifts, toys, and crafts, as well as carved lawn decorations outside. It has been a cornerstone of this little pine-tree town near Itasca State Park for many decades. 7. 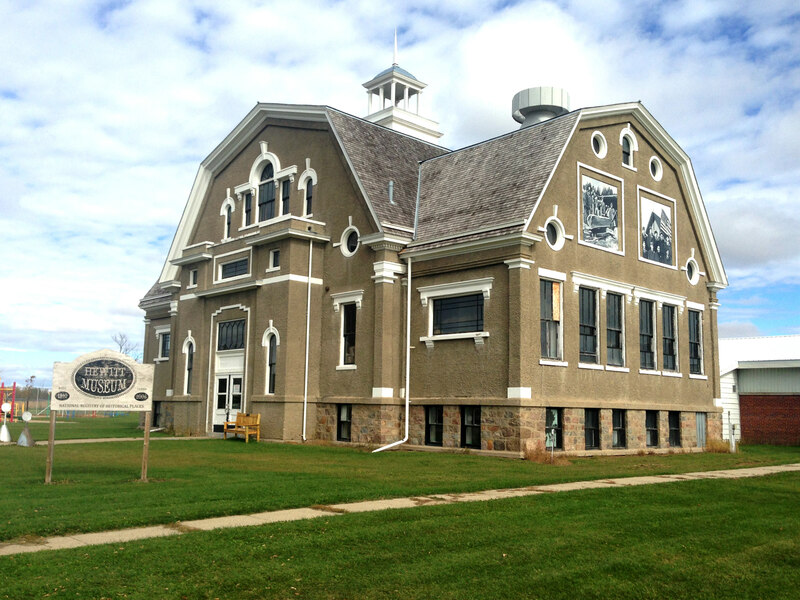 Hewitt Community Center, Hewitt, MN – Built in the early 1900’s, the intricately designed Hewitt School was the small town’s main school and later civic building and auditorium for many decades. In later years, the town consolidated schools with nearby Bertha, and the building became the Hewitt Museum, where it still operates as such today. 6. 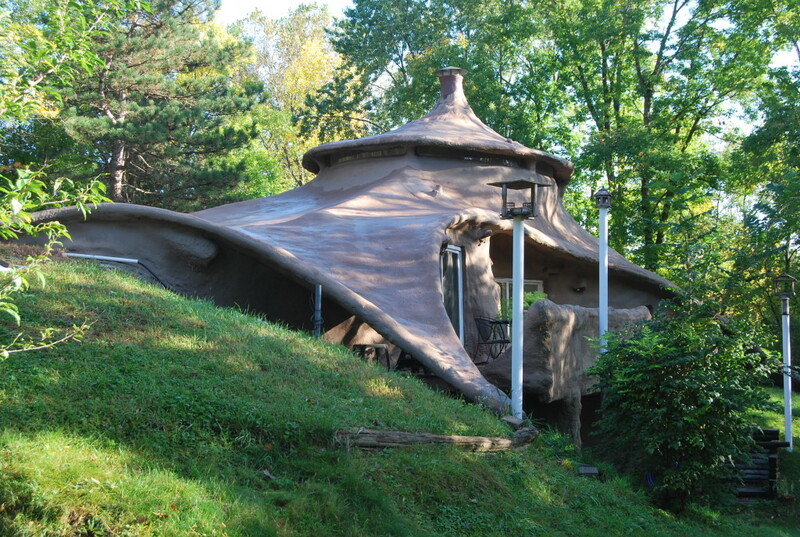 Ensculptic House, Minnetrista – The weirdest house in the state, Ensculptic house follows no traditional design; it was created from polyurethane spray-foam over burlap on a metal skeleton in the 1960’s. It is located out in the country on a dirt road, west of Minneapolis and is currently in private ownership. 5. Frank Lloyd Wright Gas Station, Cloquet – The only gas station designed by legendary “organic” architect Frank Lloyd Wright, the R.W. 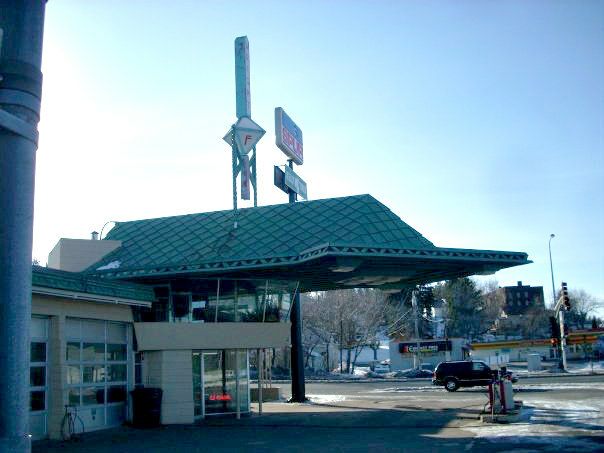 Lindholm Service Station was originally designed to be part of a larger, city-wide Wright design, which never came to be. It features a dramatic, arrow-shaped, cantilevered overhang and an upper level “waiting room” with large glass windows looking towards the nearby St. Louis River. 4. Ship Building, Fergus Falls – Built in 1946-47, the big ship-shaped building originally was a nightclub which featured a swimming pool and dance floor on the upper level. 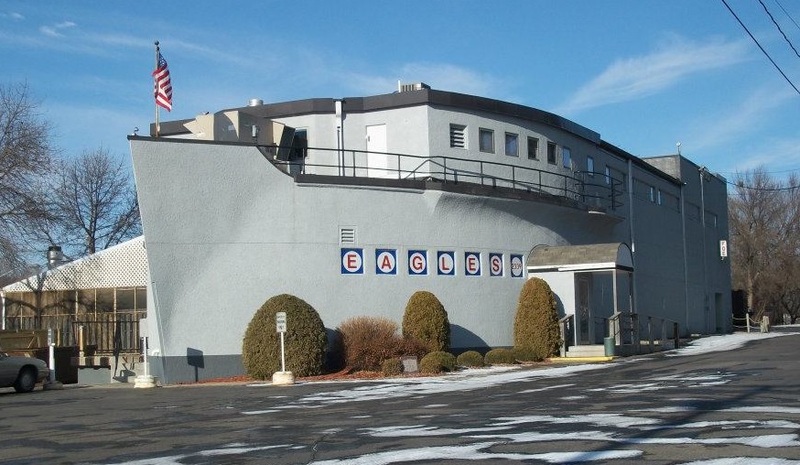 Nowadays, it is home to the local Eagles’s Club, with a bar area on the main floor. It can be rented out for weddings and events. 3. 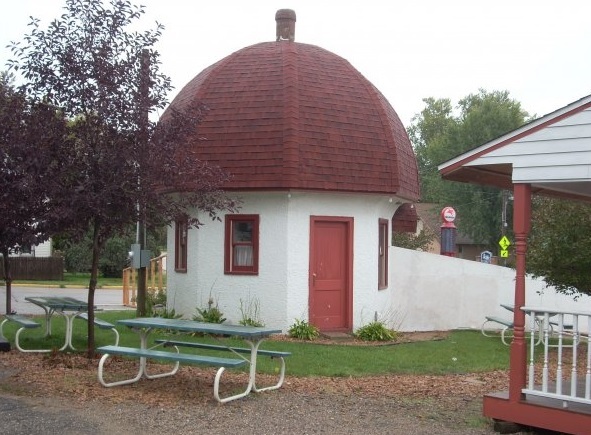 Mushroom House, Dassel – Dassel’s Mushroom House is a curious building. It was a former service station built in the 1930’s, when small, roadside gas stations took on many different and quirky looks to them. Over the past 80 years, it has taken on many functions, such as an office for a dentist and later a realtor; nowadays it occasionally houses an ice cream shop in warmer months. 2. Watt Munisotaram, Hampton – Minnesota’s largest Buddhist Temple is found just outside of Hampton, about 30 minutes south of Minneapolis. 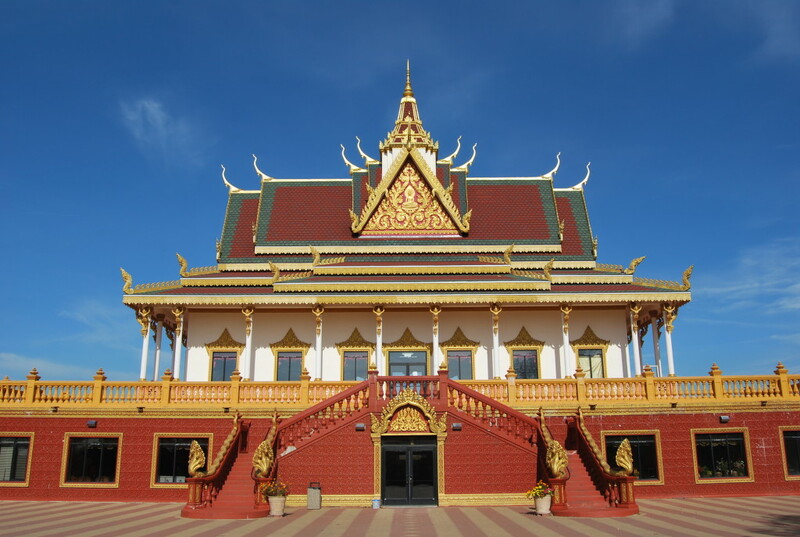 It features several shrines, a monks’ house, Buddha statues, landscaped grounds, and the 60-foot-tall main temple, all decorated in gilded gold, lotus flowers, dragons, and elaborate Far East architecture. Pictures do not do the Watt Munisotaram justice. It is one of Minnesota’s most exotic buildings. 1. 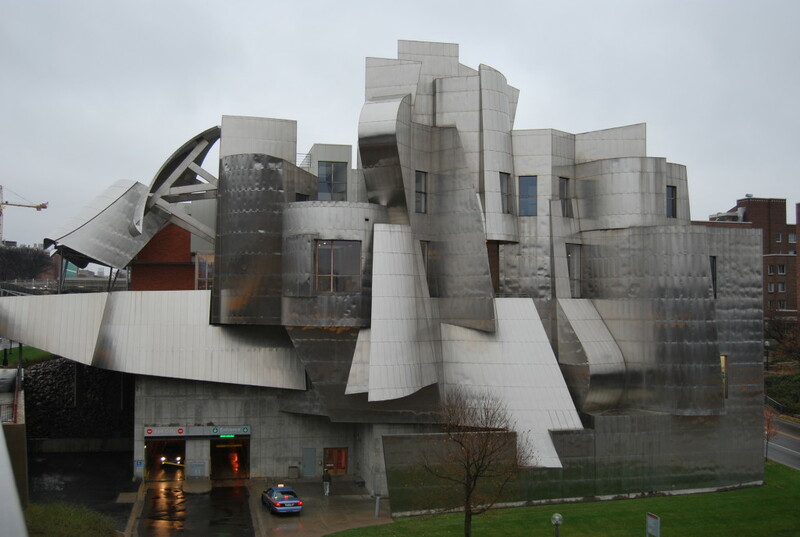 Weisman Art Museum, Minneapolis – An architectural masterpiece of the University of Minnesota in Minneapolis, this Frank Gehry-designed museum of modern art is situated on a bluff overlooking the Mississippi River on the West Bank of campus. Built in 1993, it features a complex design of angular, brushed sheet-metal panels. The side we see in the above photo is said to be an abstraction of a waterfall and fish. Do you know of any weird Minnesota buildings? Let us know! You may also like: Top 10 Most Unique Churches in MN, 5 Hidden Gems of Minnesota’s Prairie Region, and Top 50 Coolest Houses in Minnesota. Some very cool buildings here! Too bad we never got that entire city from Frank Lloyd Wright, that would have been amazing. Thank you! And I agree, that would really have been remarkable.